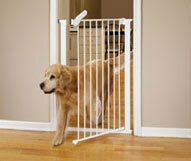 An exercise pen can come in very handy when trying to contain your puppy. 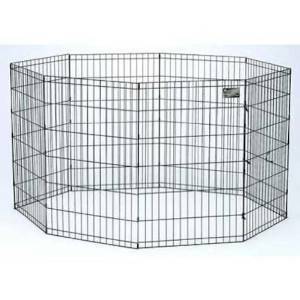 If you need to leave the home for more than an hour or two, you can set your puppy up in an exercise pen while you’re away. 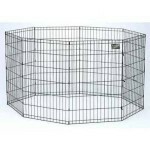 In the pen, you’d want to put a crate with the door open, a dog bed, food, water, toys and a potty area. 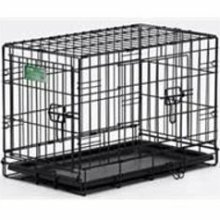 Your puppy is litter trained so setting up a litter box in your exercise pen would give your pup a great spot to do his/her business. 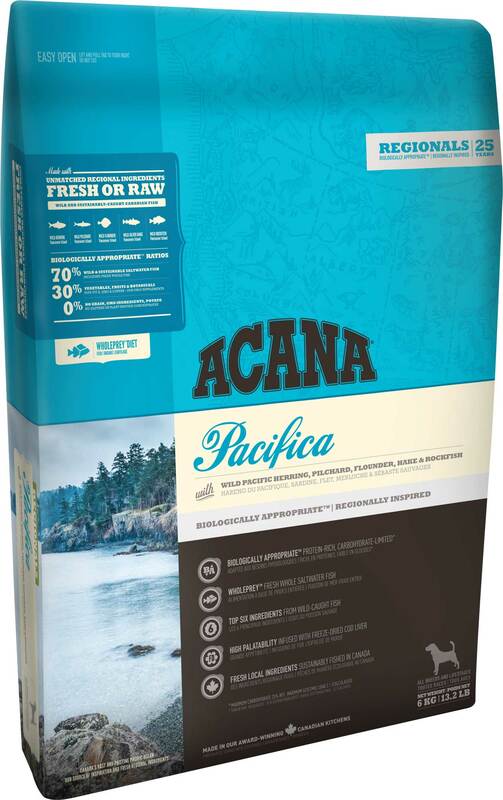 Puppy food – We are using Acana Pacifica. We suggest getting at least one large bag of this food so your puppy won’t get an upset tummy by a drastic diet change when he/she arrives at your home. 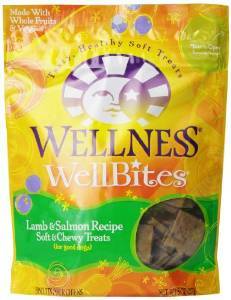 Your puppy will be experiencing enough changes so a consistent diet is important. 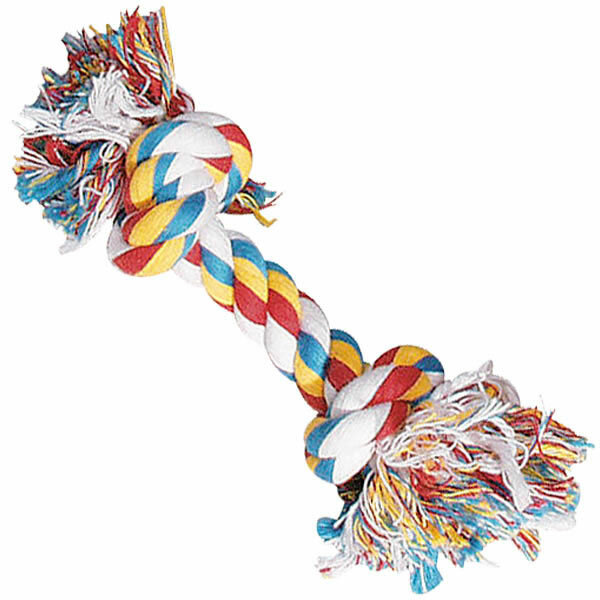 Should you choose to transition your puppy onto a different (yet high quality) food, please do so slowly over a number of weeks. 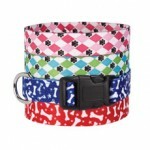 and medium and 10-16” for standard puppies. 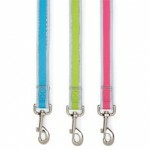 Leash – We like the 4’ leather leashes but that’s just our preference. Any material and length you like is fine. 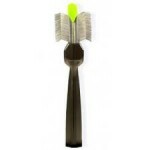 Brush – We like to use the Les Poochs brushes. 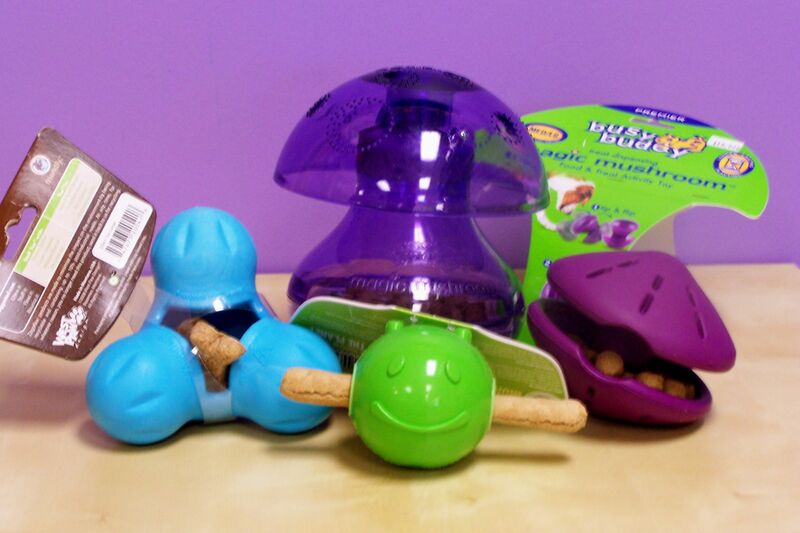 The green and the purple both work really well for Labradoodle coats. Otherwise, a comb and a slicker brush will do the job. 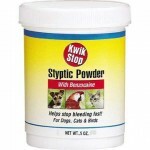 Bitter Apple Spray – Spray on things you don’t want puppy to chew – they hate the taste. 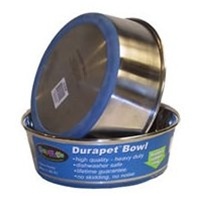 Bowls – Stainless Steel non-slip bowls. We like the 1.2 Quart and the 2 Quart sizes. 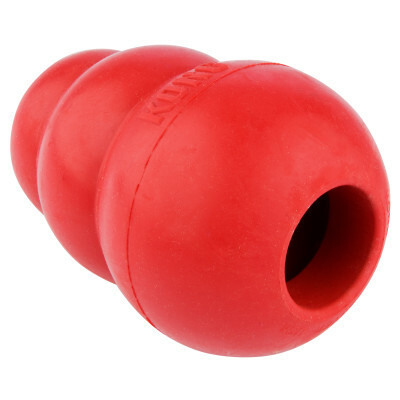 Kong – A small kong would be a great place to start. 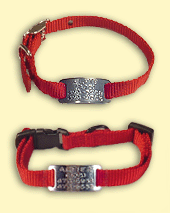 As your dog grows you can increase the size. 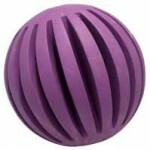 This is a great way to keep you puppy occupied. 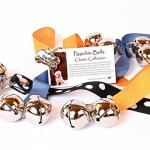 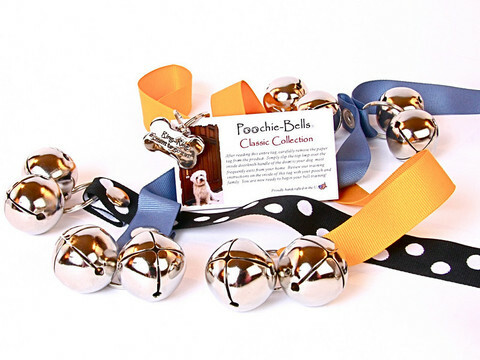 Toys – balls, ropes and treat dispensing toys are always favorites. 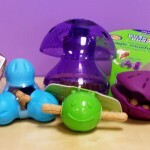 Training treats – You want something you can rip up into pea sized pieces. 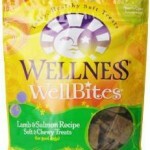 Life’s Abundance has great training treats also available at the link above. 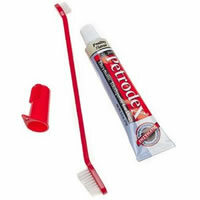 Toothbrush and Toothpaste – It comes in yummy flavors like “chicken”! 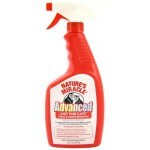 Cleaner – One that has active enzymes to clean up any accidents. 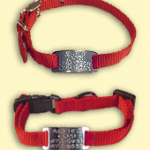 ID tag – We like Boomerang Tags that fit right onto the collar. 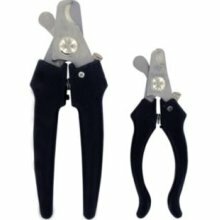 Dog nail clippers – For our puppies we use baby nail clippers but eventually you’ll need regular clippers. We like the style pictured here but any nail clippers you’re comfortable with would be fine. 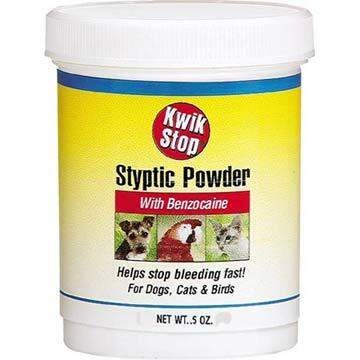 Stiptic Powder – It’s a powder that you can use to stop the bleeding if you clip your dog’s nails too short and hit the quick. Doggy shampoo – We like Fauna shampoo but any quality dog shampoo that you like would do the job. 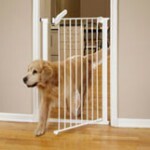 Baby Gates – You may need some gates at the top or bottom of stair cases or to use to keep the puppy confined to a certain area.